Been a hectic week with Mardi Gras underway. Got lots of work done but not many good photos. This one was started yesterday and we got about 4 hours into it so far. Going to add the wings and some honeycomb background soon. 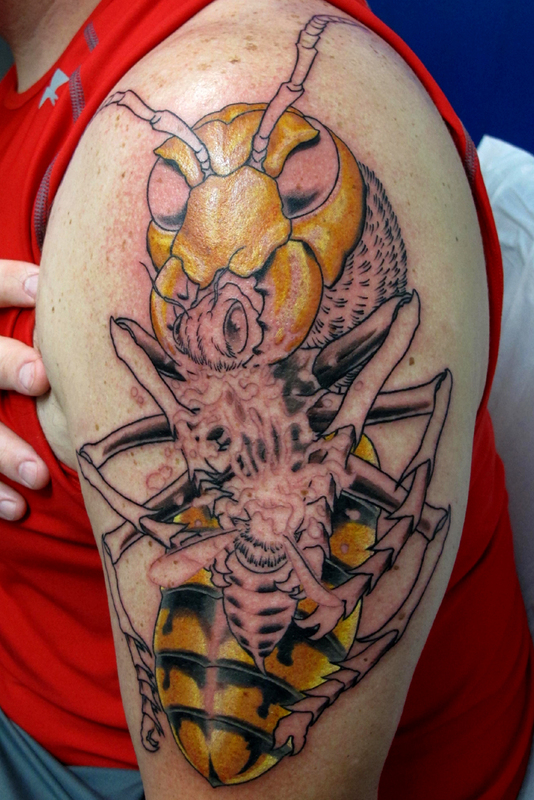 This entry was posted on February 18, 2012 at 1:29 am and is filed under Tattoo with tags Bee, Hornet, Vespa Mandarinia. You can follow any responses to this entry through the RSS 2.0 feed. You can leave a response, or trackback from your own site.